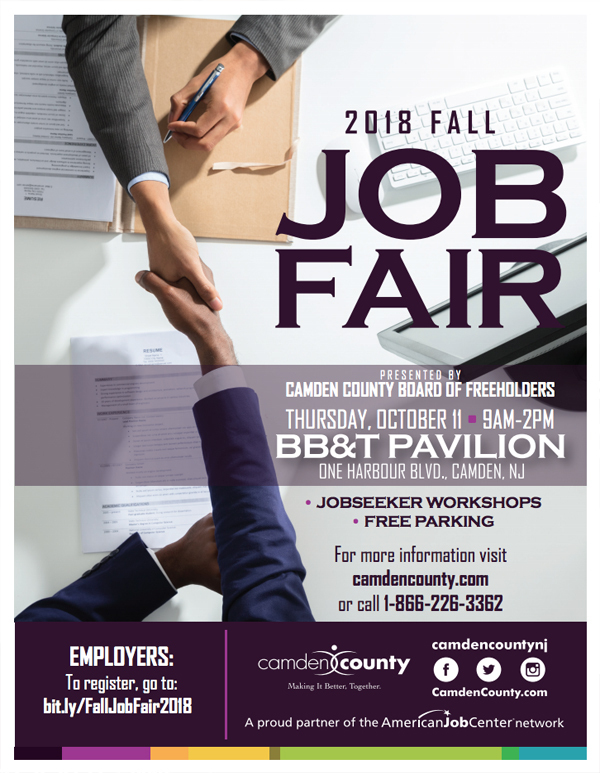 Presented by the Camden County Board of Freeholders, the 2018 Fall Job Fair will be held on Thursday, October 11th from 9 AM to 2 PM at the BB&T Pavilion. There will be jobseeker workshops and free parking. For more information call 1-866-226-3362.